All parents deserve a break sometimes — and that goes for celebrities, too. Case in point: New parents Kylie Jenner and Travis Scott were photographed having lunch together on Saturday, February 24th. It was the first time they’ve been spotted in public since their daughter was born. The couple drove their fancy new LaFerrari — Kylie Jenner’s push present — to Malibu for lunch at Nobu. Of course, Little Stormi stayed home while mom and dad enjoyed a little alone time. The duo wore coordinating black ensembles to lunch. And because of the SoCal cold spell, Kylie carried a big fuzzy red coat to stay warm. Saturday also marked the debut of Kylie’s new ride, the LaFerrari, on Instagram. The car is an ultra-luxe limited edition — only 500 were even made. Travis drove the two of them to Malibu, and reports said Kylie seemed over the moon about her new wheels. The fancy-schmancy sports car has scissor doors and is black with a red interior. So cool! 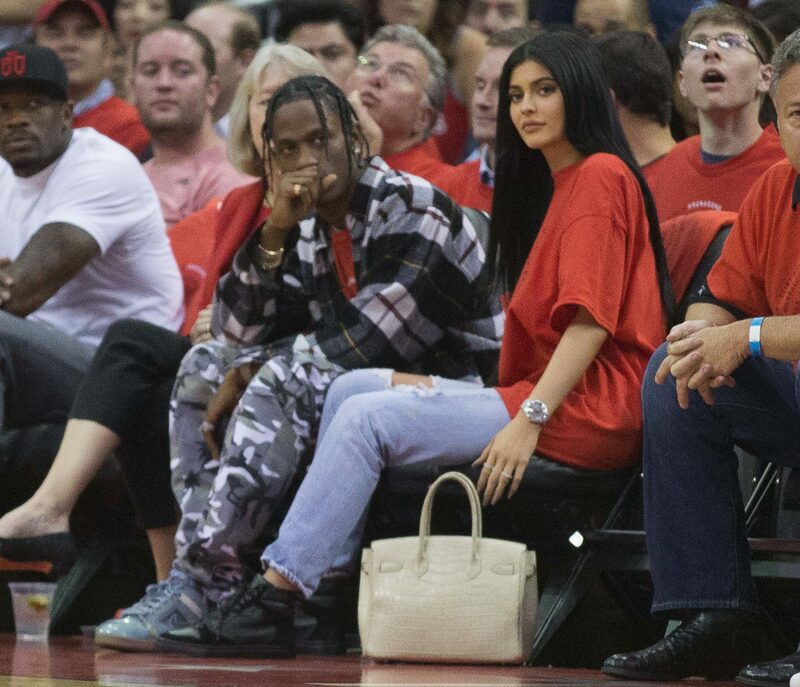 While Kylie Jenner and Travis Scott got to enjoy some much-needed alone time, we’re sure they can’t wait to get back home to baby Stormi. According to reports, Travis is head over heels for Stormi and enjoying fatherhood. Congrats again to the happy family and their new normal!